Saint Clair Shores is a city in Michigan with a total area of 14.28 square miles. There you’ll find some of the best parks and services enjoyed by St. Clair Shores MI residents. The place is popularly known for its 23 km of canals. The daily weather affects your roof. Over time, it gives up and needs replacing. 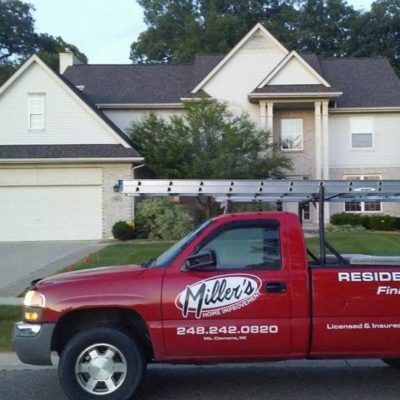 If you are from St. Clair Shores and looking for a roofing contractor to hire, Miller’s Home Improvement is here. We service homes and buildings in Michigan by helping people obtain a good roof over their head. Notice these signs or suspect hidden damage? Call Miller’s Home Improvement come to your place and inspect your roof material. We proudly use these materials that guarantee to resist high winds and impact. Choose attractive colors like Hearthstone Gray, Burnt Sienna, and more. Ready for Your Next Roofing Project? At Miller’s Home Improvement, we back our work and materials with warranties. Know that when you hire us, you hire a qualified team. Take a look at our recent projects or get in touch now at 248-242-0820.